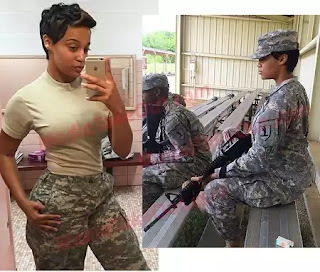 I present to you the sexiest woman in the U.S army who is heating up on Instagram with her sultry photos. It seems that many people in the active military in the USA also have side jobs to make ends meet. This lovely young lady, who goes by the name Lexx Jones, looks amazing. She is a military officer in the US Army and also a hot model with booty on Instagram.